Jon received his B.A. degree in chemistry (1986) from Augsburg College and a Ph.D. degree in organic chemistry (1993) from the University of Minnesota with Professor Hung-wen (Ben) Liu. He held a postdoctoral appointment as a Merck Postdoctoral Fellow of the Helen Hay Whitney Foundation (1993-1996) at the University of California, Berkeley with Professor Peter Schultz. 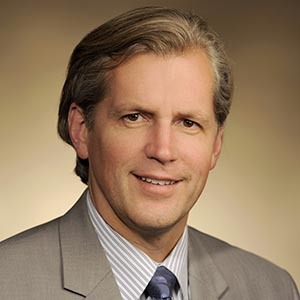 From 1996-2001, Jon held appointments as an assistant member of the Memorial Sloan-Kettering Cancer Center and assistant professor of Sloan-Kettering Division, Joan and Sanford I. Weill Graduate School of Medical Sciences, Cornell University. In 2001 Professor Thorson moved to the University of Wisconsin School of Pharmacy and during his tenure with UW, Jon was instrumental in establishing the Wisconsin Center for Natural Products Research, the NCI-supported UW National Cooperative Drug Discovery Group and the NATPRO Protein Structure Initiative. Professor Thorson joined the UK College of Pharmacy in the Fall of 2011 as the first director of the new UK Center for Pharmaceutical Research and Innovation (2011-present), interim co-Director of the Markey Cancer Center’s Drug Discovery, Delivery and Translational Therapeutics Program (2011-2015) and co-Director of the Drug Discovery and Development Module in the UK Center for Clinical and Translational Science (2011-present). His research interests include understanding and exploiting biosynthetic pathways and enzyme mechanisms, bioorganic and chemoselective ligation chemistries, enzyme engineering and evolution, and natural products and biocatalyst discovery. Professor Thorson has also been credited with establishing the general area of natural product glycorandomization and is a co-founder of the Madison-based biotechnology company Centrose. Wang X, Zhang Y, Ponomareva L V, Qiu Q, Woodcock R, Elshahawi S I, Chen X, Zhou Z, Hatcher B E, Hower James C, Zhan Chang-Guo, Parkin Sean, Kharel M K, Voss S Randall, Shaaban K A, Thorson Jon S. (2017). Mccrearamycins A-D, geldanamycin-derived cyclopentenone macrolactams from an eastern Kentucky abandoned coal mine microbe. Angewandte Chemie (International ed. in English), 56(11), 2994–98. Huber T D, Wang F, Singh Shanteri, Johnson B R, Zhang J, Sunkara M, Van Lanen Steven, Morris Andrew James, Phillips, Jr G N, Thorson Jon S. (2016). Functional AdoMet isosteres resistant to classical AdoMet degradation pathways. ACS Chemical Biology, 11(9), 2484-91. Zhang Y, Ye Qiang, Wang X, She Qing-Bai, Thorson Jon S. (2015). A divergent enantioselective strategy for the synthesis of griseusins. Angewandte Chemie (International ed. in English), 54(38), 11219-22. Singh Shanteri, Zhang J, Huber T D, Sunkara M, Hurley K, Goff R D, Wang G, Zhang W, Liu Chunming, Rohr Jurgen, Van Lanen Steven, Morris Andrew James, Thorson Jon S. (2014). Facile chemoenzymatic strategies for the synthesis and utilization of S-adenosyl-L-methionine analogues. Angewandte Chemie (International ed. in English), 53(15), 3965-69. Gantt R W, Peltier-Pain P, Cournoyer W J, Thorson Jon S. (2011). Using simple donors to drive the equilibria of glycosyltransferase-catalyzed reactions. Nature Chemical Biology, 7(10), 685-91. Williams G J, Zhang C, Thorson Jon S. (2007). Expanding the promiscuity of a natural-product glycosyltransferase by directed evolution. Nature Chemical Biology, 3(10), 657-62. Zhang C, Griffith B R, Fu Q, Albermann C, Fu X, Lee I K, Li L, Thorson Jon S. (2006). Exploiting the reversibility of natural product glycosyltransferase-catalyzed reactions. Science (New York, N.Y.), 313(5791), 1291-94. Biggins J B, Onwueme K C, Thorson Jon S. (2003). Resistance to enediyne antitumor antibiotics by CalC self-sacrifice. Science (New York, N.Y.), 301(5639), 1537-41. Ahlert J, Shepard E, Lomovskaya N, Zazopoulos E, Staffa A, Bachmann B O, Huang K, Fonstein L, Czisny A, Whitwam R E, Farnet C M, Thorson Jon S. (2002). The calicheamicin gene cluster and its iterative type I enediyne PKS. Science (New York, N.Y.), 297(5584), 1173-76.